A daily podcast of the Gospel Truth television or radio program. Search through and watch all episodes of the Gospel Truth. Find the Gospel Truth television program on a station near you. 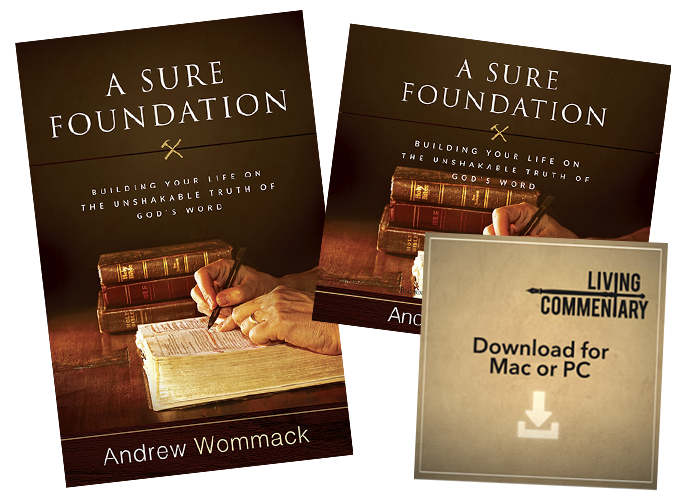 Welcome to the free video resource page from Andrew Wommack Ministries! Access the Gospel Truth television program through the archives and podcasts, or simply check out our broadcasting schedule to watch Andrew’s program live. Previous conferences and meetings with other featured speakers are all made available on this page as well. You can also watch all of our television programs going back to August 2000. Click on any of the categories listed below to access powerful, faith-building videos at your convenience. Here at Andrew Wommack Ministries, we want you to have everything you need for your spiritual growth. Be blessed in your walk with the Lord! Enjoy the Andrew Wommack Ministries’ video resource page, which is made available through the generous support of our Grace Partners. There are so many avenues you can take to experience the power of the Gospel on our website! You can find videos of our conferences, be encouraged through healing testimonies, build your faith with financial breakthrough stories, and see how people are finding their destinies. While there are specific ministry topics you can choose from, we also provide online streaming of the Gospel Truth television program. You can be refreshed each day by watching Andrew Wommack through the podcasts or archived broadcasts. You can also order today’s television offer mentioned on Andrew’s program, located at the top right corner of this page. Now, you may be wondering why we give so much of our ministry materials away. When Andrew and Jamie first started out in ministry, they were so poor that many times, they were forced to fast—even while Jamie was eight months’ pregnant! Throughout that period of their lives, they remember wanting to get ministry materials at conferences but not being able to afford them. Andrew has never forgotten that time in his life and now wants to be a blessing to anyone in a similar situation he and Jamie were in. Please take advantage of all the video resources available to you. They will enrich your personal life, Bible study, or devotional time. Listen to the truth of the Gospel and be blessed—so you can be blessing!